Crossover SUVs receive a lot of well-deserved attention from automaker’s and their customers. However, when it comes to moving a lot of a lot people or a lot of cargo, the minivan remains the industry’s strongest option. 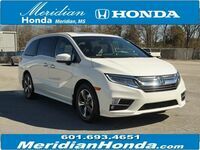 Within the new vehicle inventory available at the Meridian Honda showroom, that means the Honda Odyssey. Among the few remaining models that the Odyssey competes against, it presents competitive performance scores, strong capability potential and one of the most advanced suites of available and standard technology a customer can find. It’s available in six trims, LX, EX, EX-L, EX-L/RES, Touring and Elite. 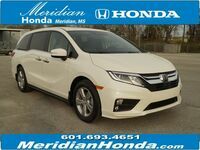 A comparison of the 2019 Honda Odyssey vs. 2019 Toyota Sienna will show why potential buyers should stop by Meridian Honda to see what is available. Customers can schedule a test drive today by calling, 601-693-4651. Interior volume is really the name of the game when it comes to choosing a vehicle like the 2019 Honda Odyssey. Both the 2019 Odyssey as well as the 2019 Toyota Sienna have three rows of seating and offer versions that can accommodate seven or eight passengers. However, Honda Odyssey customers who need to help a friend move or bring home larger items, will have an advantage over those who chose the Toyota Sienna. When properly configured, the 2019 Honda Odyssey offers up to 155.8 cubic-feet of cargo volume, which bests the Toyota Sienna’s maximum of 150 cubic-feet. The Honda Odyssey (EX trims and above) and Toyota minivans each offer smartphone integration. However, of the two models, only the 2019 Odyssey offers access to both Android Auto™ and Apple CarPlay™. The Sienna only offers the latter. 155.8 cu.-ft. Max. Cargo Space 150 cu.-ft. In the pursuit of intellectual honesty, it’s worth pointing out that the 2019 Toyota Sienna does make slightly more power than the 2019 Honda Odyssey. All trims of the Honda minivan use a 280-horsepower, V-6 engine and the Sienna is equipped with a 296-horsepower, V-6. The Honda Odyssey employs a 10-speed automatic transmission on the Touring and Elite versions, with the rest of the lineup using a nine-speed automatic. However, those numbers don’t tell the whole story. The Honda Odyssey (Touring and Elite models) is able to neutralize this perceived advantage held by the Toyota Sienna by offering the same maximum towing capacity of 3,500 pounds.